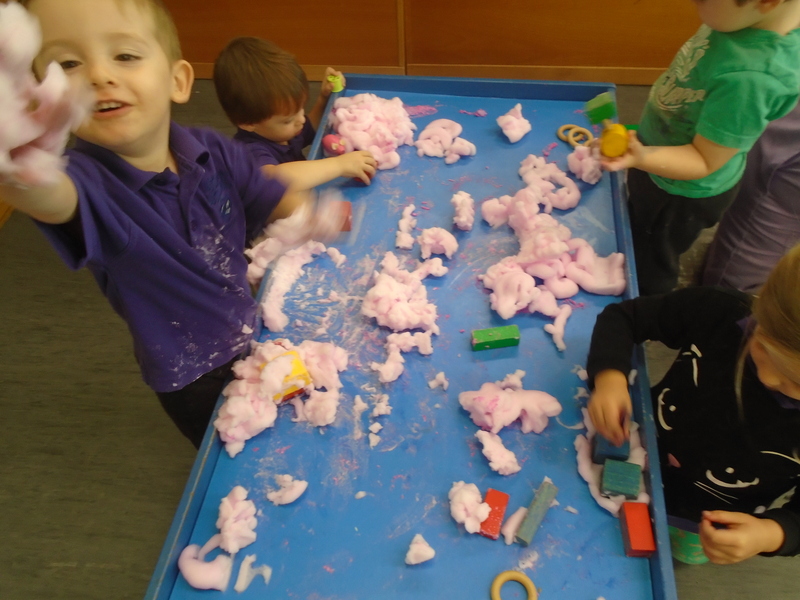 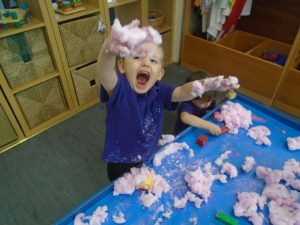 The children have been enjoying and exploring the mouldable foam. Following the children’s interests around construction using the blocks to build and create structures we used the foam as a material to stick the blocks together. The children said “it’s like cement”. 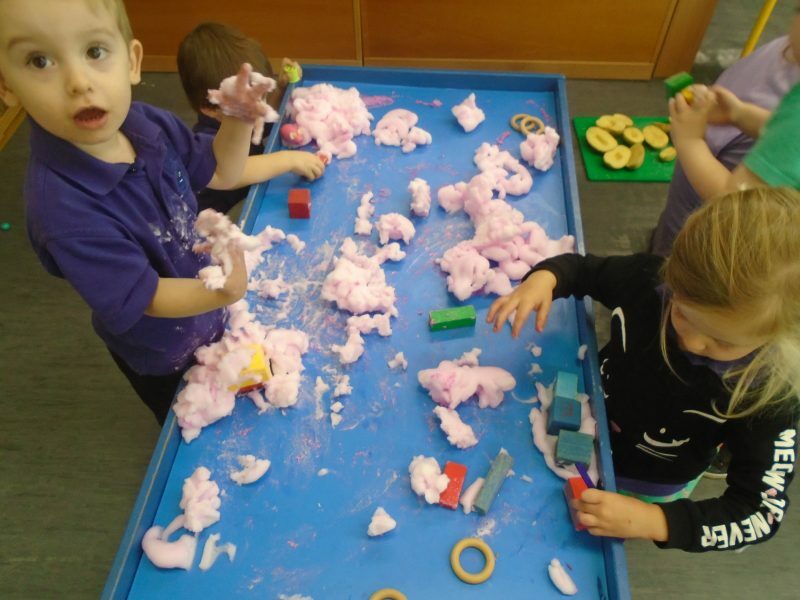 They used the foam to place on top of a block before adding another block on top or at the side and role played using this as a sticking material. 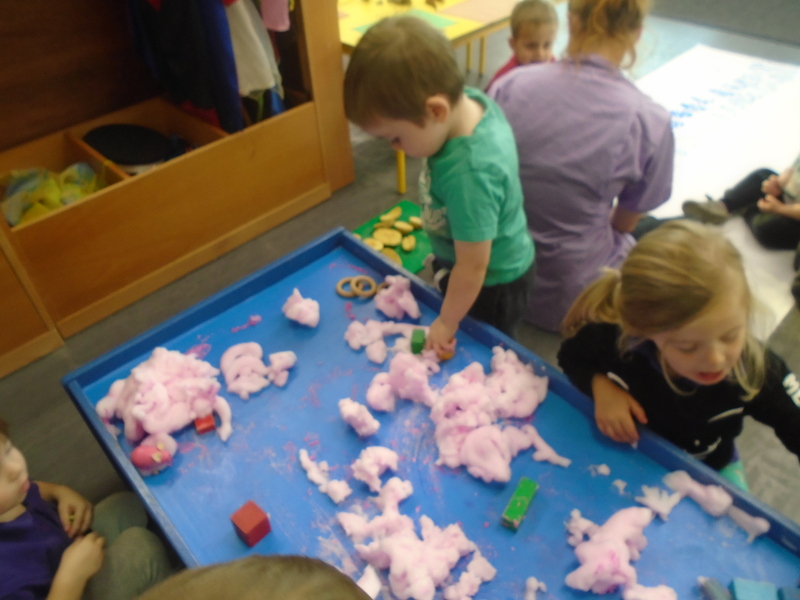 Everyone was engaged in this activity and had lots of fun using their imagination to explore and problem solving skills.